The Southern Ocean Sea Band is a misfit bunch of lads and lassies bringing tales and legends in song and shanty. Port Fairy born and bred musicians Jordan Lockett, Gus Franklin and James Dyson have joined forces to retell their town’s history through their ambitious project The Southern Ocean Sea Band. 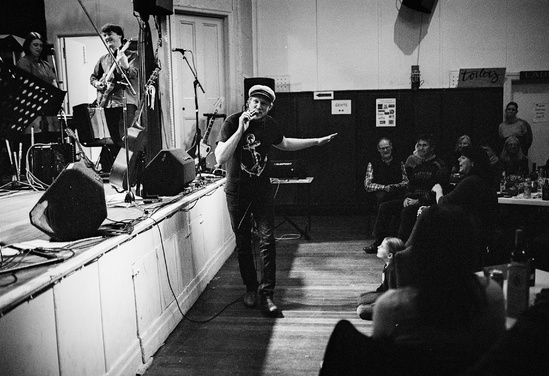 With a motley crew of musicians in tow, the band have become Port Fairy’s answer to the Pogues. 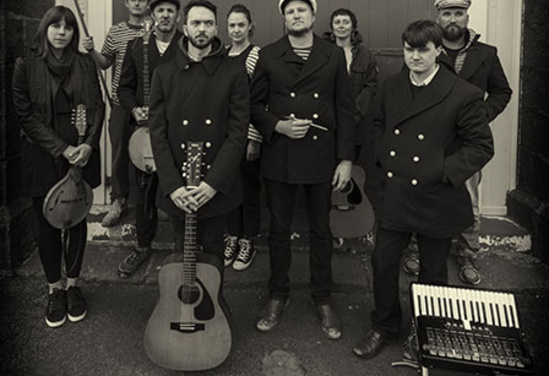 Their new album, ‘Blood & Bones and Fins & Glory’ offers an accessible historical edge that leaves audiences deeply knowledgeable and enriched by the legacy of their home and its many characters. A 30 min Sea Shanty session is held before each performance, encouraging audience members to get in the mood and learn some of the songs before the performance. Ideally, a community dinner then happens, and we sit and talk with the audience. We then perform, with the shanty session songs becoming a good old sing along. 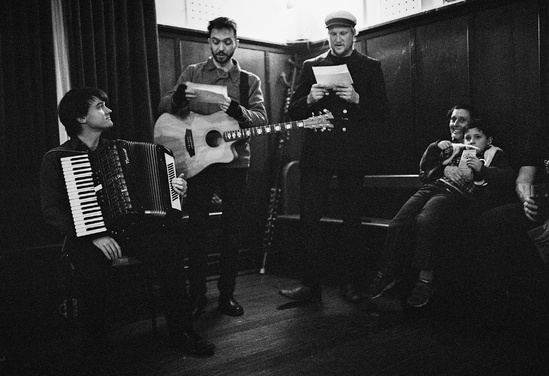 The event starts with a shanty session where the band share the history of the stories and mythology behind the songs, a lyric sheets of nine shanties is provided to the audience to encourage people be part of the show and sing-along. Once everyone had had a chance to be introduced to the music the Southern Ocean Sea Band presents a 60-75min set of music that includes these shanties. The Southern Ocean Sea Band can present this show in a variety of spaces and prefer venues that are open to full community participation with people of all ages and backgrounds. Community halls are great as they often come with a legacy of gathering and sharing stories, music and performance that they are keen on being a part of and keeping alive. This show is a great opportunity to bring people together in these public spaces to enjoy music, food and a sense of community spirit. We encourage fundraising as part of the activities, so energy and money can be invested back into the spaces for future creative events. The Southern Ocean Sea Band is a misfit bunch of lads and lassies bringing nautical tales and legends of song and shanty to regional Victoria.